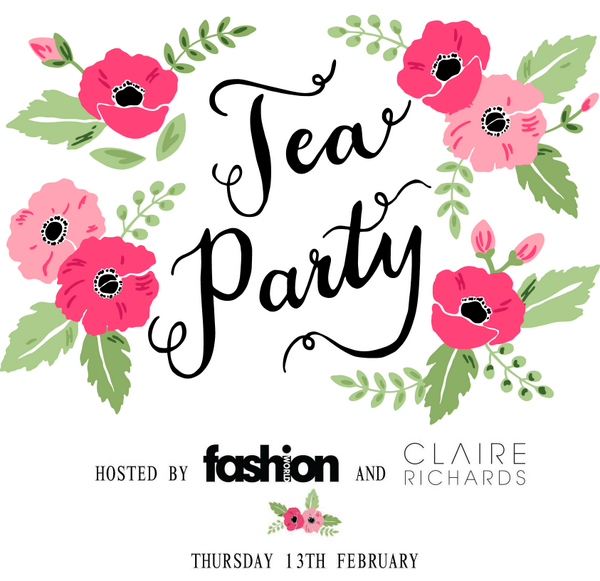 So on Thursday I attended the Fashion World tea party, showcasing Claire Richards SS14 collection. The venue was the stunning Haymarket Hotel near Trafalgar Square and after getting rather lost I turned up looking slightly dishevelled but mega excited for the night ahead. As you can see from the below pics, the room was lovely and Fashion World really went to town on the cakes and presentation, it was perfect. So after wolfing down some of the best cupcakes I have honestly ever tasted and then having a relaxing hand massage, I shimmied over the clothing rail of the new collection, and I have to say it didn't disappoint! Below are my favourite pieces, I would have included them all but I don't want to overload you guys with tonnes of pics so the page take ages to load! Add me on facebook if you want to see all my pics from the events I go to etc as I upload them all there by the album! So first is a gorgeous silky butterfly kimono wrap, I thought the print was just lovely. Then we have the lovely blue and white maxi dress I've seen on a couple of bloggers lately, I think this would be super cute for summer. Then we have probably my personal favourite, I love the floral print and the fact it has 3/4 length arms, it's just a really pretty and feminine piece. Then we have a gorgeous brocade textured coat, I don't think it would suit me, but had to include as it's beautifully made and the quality really is there. Then we have another blogger favourite in the lace jumper, I like how it's so wearable and can be dressed up or down depending on the occassion. Oh and we mustn't forget the wonder jeans everyone is raving about. Now I struggle with jeans as I'm sure a lot of us do and the sizing/proportions are never quite right for me so I have high hopes for these and think I might just give them a try. The criss cross detailing and the three buttons is a nice addition too, it's adds just a little something don't you think? Then we have this stunner of a dress that Claire herself was wearing, I love it, I want it, odds are I will get it to add to my collection. And last but not least for clothing is this lovely number I've seen bloggers raving about, the floral detailing is beautiful and the pink really stands out from the black base fabric. The cut is really flattering, it's well made and it would be perfect for any occasion. Then we have a bag from the collection which I was kindly gifted in my goody bag, so expect to see it pop up in some OOTDs. It's really nice and goes with everything! This is my favourite pair of shoes from the range, they are so wearable and the heel isn't too daunting for a clumsy person like me! A few more pictures of yummy food, sorry couldn't resist! And a couple of Claire herself who looked absolutely stunning in her own creation dress. I had the most fantastic evening and I got to meet some of my favourite bloggers who I'm sure already have/will be telling you about the experience too. It just goes to show that when you step out of your comfort zone and start going to events like this, the rewards really are incredible in terms of the friends you make and the things you get to experience first hand, I want to thank Fashion World so much for inviting me, it was a great evening. I hope you liked my post, do you guys want to see more event write ups in detail? Let me know! Wow those cakes look divine! Claire looks so glamorous and beautiful, did you get to personally speak to her about her new collection? Also the jeans you featured on this post can you please provide a link to them on the website as i am intrigued to see what style they are, as like you i always have a keen eye for some well fitting jeans. Anyway it looks like you had a wonderful time, and is very nice seeing you attend more events and reading your fantastic blog posts and reviews. Great post Sally, I can definitely see myself getting the floral dress and jeans. Even better that they're tailored for curvy girls so no worry there!